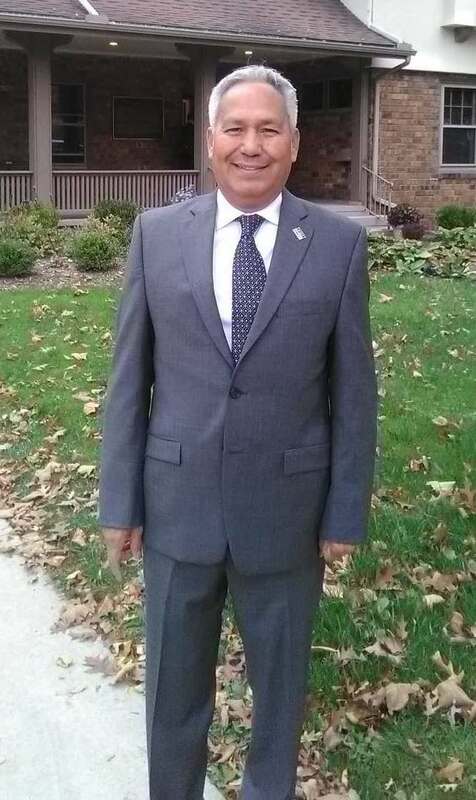 U.S. Representative Debbie Dingell, a Democrat from Michigan, introduced a private bill in Congress to grant Mexican journalist Emilio Gutiérrez Soto an immigrant visa or permanent resident status after his asylum case was denied in February. Additionally, Dingell and a fellow member of Congress, Rep. Fred Upton, a Republican from Michigan, wrote a letter to Acting Director of ICE, Ronaldo Vitiello, to urge asylum for the reporter. The representative also emphasized that Gutiérrez Soto has followed U.S. laws since being in the country and that there is an obligation to protect a free press. The journalist told the Knight Center he is very grateful for the representatives’ efforts. “They are really taking into account the importance and the role that ICE plays in this process, our lives are at risk,” he said. “What’s being attempted is to preserve two lives before the injustice committed by a judge. And that seems very surprising to me and I appreciate it very much,” Gutiérrez added. Gutiérrez Soto and his son fled to the U.S. from Mexico in 2008 after being notified that someone in the Mexican military planned to kill him. He had written about alleged abuses by the military against civilians in Ascensión, Mexico. Upon requesting asylum at the border, he was placed in detention by U.S. officials. After nine years, Judge Robert Hough denied the father and son’s requests for asylum in July 2017. But, in May 2018, the Board of Immigration Appeals (BIA) ordered a new hearing for the consideration of new evidence. Hough again denied the case on Feb. 28, 2019, finding that Gutiérrez Soto was “not a credible witness” and that there was wasn’t sufficient testimony or evidence to show the journalist was persecuted in Mexico or will be persecuted if he goes back, according to the judge’s decision. Gutiérrez Soto’s lawyer has appealed to the Board of Immigration Appeals (BIA). In the midst of these court decisions, the journalist and his son were nearly deported in December 2017, but saved by an emergency stay. However, they were held in ICE detention for seven months and released in July 2018. Gutiérrez Soto has been a Knight-Wallace Fellow at the University of Michigan since September 2018. Previously, while the journalist was in detention in summer 2018, Dingell had written a letter to the ICE acting director supporting Gutiérrez Soto’s release and ability to go to the University, and so was aware of the case, according to what Lynette Clemetson, director of the Wallace House, home of the Knight-Wallace Fellowships for Journalists, told the Knight Center. H.R. 1751, a private bill that applies solely to the relief of Gutiérrez Soto and his son, was introduced by Dingell on March 13 and has been referred to the House Committee on the Judiciary. If approved, it will provide legal permanent residence for father and son, Beckett explained. The bill would have to make it through both the House of Representatives and the Senate, and ultimately be signed by President Donald Trump. Beckett said he thinks a bipartisan approach is the way to proceed with the bill. “I think the first amendment, it doesn’t belong to any party, it’s just a Constitutional thing and it doesn’t matter what you believe in, everybody will agree that the First Amendment is very vital to this country, to democracy,” Beckett said. Beckett said a network of the journalist’s supporters across the country are reaching out to members of Congress in their districts to get support for the bill. Another journalist has been killed in Mexico since they released the letter. Radio host Santiago Barroso was shot in the doorway to his home in the Mexican state of Sonora on March 15. “The University of Michigan community, members of the media, advocates for press freedom around the country, and many Americans continue to share our deep concern about Mr. Gutiérrez Soto’s safety should he return to Mexico,” the letter from Dingell and Upton read. The Knight Center contacted ICE regarding the letter, but did not receive a response. Clemetson, who testified at Gutiérrez Soto’s second asylum hearing, said that the latest denial of asylum was devastating for those in the Knight-Wallace Fellows program. Clemetson brought up concerns about dangers facing Mexican journalists and specific threats that Gutiérrez Soto faces, as well as larger press freedom issues.